As for the armor protection of the new tank, it has reactive armor tiles to protect against anti-tank shells, rockets, and missiles. The Karrar is fitted with the latest generation of armour, with ERA (Explosive Reactive Armour) at the front of the hull and turret. This explains why there has been speculation that the U.S. has given up on the idea of confronting Iran militarily, at least for now. As the head of Iranian civil defence has pointed out, Washington no longer considers “regime change” in Tehran an option. Instead, Moscow seems to have replaced Tehran as the main focus for Washington’s warmongers. We would suggest that this has happened because the U.S. knows that if it goes to war with Iran it might end up in another protracted conflict without a clear-cut victory. I know from personnel experience in Rhodesian Army Special Forces that although some individual Americans were good soldiers, collectively they had a very poor reputation. Americans are simply not a martial people. America’s military commanders know this too. Hence their reliance on air-power and high-technology. However, even with this advantage America’s record in recent conflicts has been none too impressive. 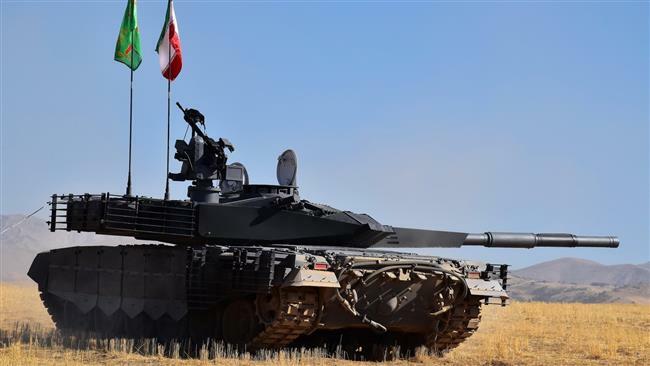 Afghanistan, Iraq, Vietnam: none of these conflicts has resulted in a clear-cut U.S. victory and Iran is technologically more advanced militarily than any of the aforementioned, as the Karrar illustrates. In other words, in a full on conflict with Iran the U.S. runs the risk of defeat. Leaving a badly bruised America unwilling to square up to Russia. The elite want a world war. That won’t happen if America gets drawn into another regional conflict, especially if Tehran prevails. That would be disastrous for the trans-national elite, who want to use U.S. force of arms to impose their ideal of a New World Order on the world. So the elite want direct military conflict between Russia and America, not regional clashes with their proxies; in the hope that this will result in global war resulting in massive depopulation, which is their ultimate goal. Ed.